If you find it hard to fall asleep even after a long tiring day, there are a variety of foods that can help you sleep. 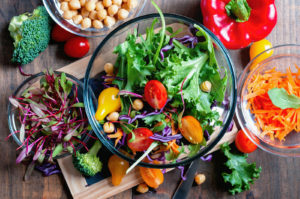 These foods come from different food groups but have one common characteristic: they all trigger the production of the sleep-inducing neurotransmitter melatonin in the brain. Not only do these foods help you sleep faster, they also enhance the quality of your sleep so that you wake up feeling well rested and refreshed in the morning. Without further delay, here are 11 foods and also beverages that can help you get some much-needed shuteye as required. Walnuts are known to be rich in an amino acid called tryptophan. Tryptophan triggers the release of both melatonin and serotonin, ensuring that you enjoy deep, uninterrupted slumber all t the night. Pistachios are rich in vitamin B6, a nutrient that is very useful to the brain when it comes to producing melatonin and serotonin. Almonds, on the other hand, are a rich source of magnesium. Aside from being vital in the curing of headaches, magnesium deficiency in the body can lead to inconsistent sleep rhythms and ultimately prevent you from sleeping soundly until morning. Eating a few almonds, walnuts, or pistachios just before bed can significantly shorten the amount of time it will take you to fall asleep and improve the quality of your sleep significantly. Drinking warm milk has always been the go-to remedy among the foods that can help you sleep since time immemorial. However, the trend is similar with all dairy products. Nibbling on some cheese and crackers before bed can improve the quality of your sleep and also make you drift off faster. This is because the calcium that is present in dairy products speeds up the assimilation of tryptophan, making it ready for use by the brain. Additionally, calcium helps you stay asleep by regulating muscle movement. 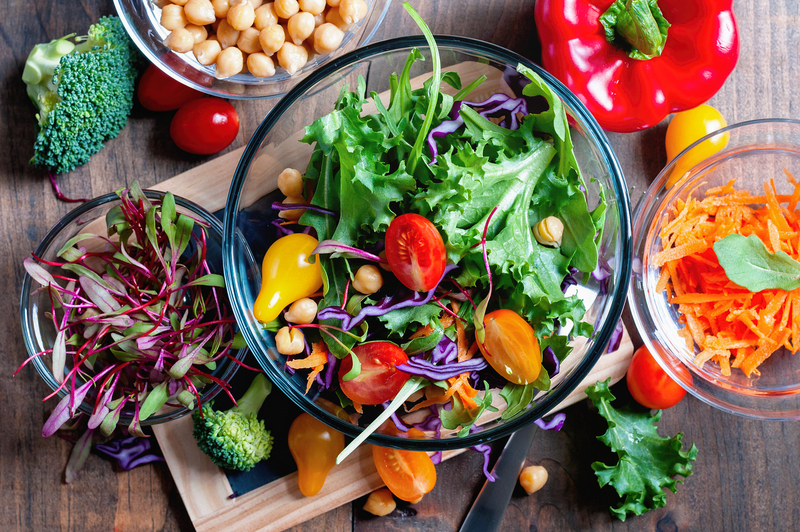 Here is another reason why salads should always be featured in most of your meals: lettuce can help you fall asleep faster. This is attributed to a chemical component within lettuce called lactucarium. Studies show that lactucarium has sedative properties similar to opium although to a much milder extent. As for green leafy vegetables like kale, spinach, and mustard greens, the high calcium content guarantees the accelerated assimilation of tryptophan, which in turns helps the brain to produce melatonin, allowing you to fall asleep quicker and more deeply. As odd as it sounds to have cereal before bed, it can actually help solve your sleeping problems. Research conducted by the National Sleep Foundation shows that the carbohydrates in the cereal work together with the calcium in the milk to induce sleep faster. Corn chips and pretzels can also among the food that can you to sleep faster due to their high glycemic index. Eating these snacks will increase your blood sugar and insulin levels which in turn will cause the release of more tryptophan into your brain. Fres water fish such as tuna and salmon are naturally rich in vitamin B6, a vitamin that is vital for the creation of and serotonin and melatonin in your body. Shellfish like lobster, prawns, and shrimp, on the other hand, naturally contain much more of tryptophan. Eating any of these fish will make it a lot easier for you to doze off and stay asleep throughout the night. While all types of rice naturally comprise of the high glycemic index, jasmine rice has by far the highest glycemic index. A report that was put out in the Journal American of Clinical Nutrition showed that some of the people who managed to ate this type of rice fell asleep a lot faster than the people who ate different types of rice. Eating this rice practically guarantees that you will enjoy a whole night of deep, restful, and uninterrupted sleep. Tart cherries have been used before in medical studies aimed at finding remedies for insomnia. One particular study that was done by the Rochester University proved that drinking just one glass of tart cherry juice increases the production of melatonin in the brain, leading to drowsiness and much more restful sleep. The subjects reported notable improvements in their symptoms of insomnia. Researchers have shown that the calming effect we get from tea is much more pronounced in chamomile tea and passion fruit tea. In chamomile tea, this is attributed to the presence of glycine, a nerve and muscle relaxant that helps the body loosen up just before drifting to sleep. A study in Australia has proved that passion fruit tea could also induce drowsiness and cause deeper sleep rhythms due to the presence of Harman alkaloids, chemicals from the passion fruit flower that directly affect the nervous system to induce sleep. Honey has been a home remedy for years in the treatment of the flu, stomach aches, and various skin conditions. The natural sugar found in honey can be just enough to trigger an adequate amount of insulin in the bloodstream, thereby increasing the brain’s tryptophan intake significantly. You could add a dollop of honey to your nighttime cup of tea to enjoy its full effects. Aside from being highly nutritious and very tasty, hummus is said to be rich in tryptophan, the amino acid necessary for the production of melatonin. Making this dip part of your nighttime meal could help you drift off to sleep a lot faster and also improve the quality of your nighttime rest. Yes, you read it right. Elk meat. We all know how turkey meat can induce a serious spell of sleepiness when consumed due to its high tryptophan content. Elk meat has twice the amount of tryptophan contained in turkey meat. Picture all of your relatives nodding off at Thanksgiving. Although it will be a little harder to find (like in Canada!? ), eating elk meat will help you sleep faster than any other food will since the abundance of tryptophan in the brain will lead to the increased production of melatonin. Eating any of the foods listed above in combination with Relaxium Sleep will give you a great night’s sleep. What exactly is sleep? Why does sleep deprivation has adverse effects on your health? Why is sleep important? This are some of the questions that we seek to answer as we discuss about sleep and its effect on your health. Sleep can be defined as a condition of the body and mind during which the eyes are closed, the nervous system is relatively inactive, conscience is suspended and postural muscles are relaxed. There are several definitions of sleep but most of them describe the state of the body during sleep. This can be attributed to the fact that sleep is a process. In order to make the most out of your sleep, sleep quality, length as well as time should be optimum. The Role Played by Sleep in Staying Healthy? Have you ever tried to stay awake for hours on end? You will start feeling drowsy, your hand-eye coordination becomes poor and you feel extremely fatigued. These are typical examples of sleep deprivation symptoms. Sleep plays a crucial role in your health as it helps your body as well as the brain to relax and rejuvenate. Did you know that sleep deprivation related road accidents claims an estimated 1500 deaths in the United States each year? The process of sleep can be categorized into two categories; rapid eye movement and non-rapid eye movement states (REM and non-REM). During the non-REM state, body temperatures drops, heart rate slows down and sleep is light. During this stage, the body is preparing to enter into deep sleep and it can easily be interrupted by external stimuli. As you fall into deep sleep, some regions of the brain show reduced activity. In this stage, the body is rejuvenating and trying to mend wear and tear in cells and tissues. This anabolic state also allows the body to strengthen the immune system. This state is referred to as the REM state and it is during this state that dreaming takes place. If you are in the age bracket of 18-64 years, then you need 7 to 9 hours of sleep in one day. If you are older than 64 years, you should ideally sleep for 7-8 hours a day according to the National Sleep Foundation. As for children and teenagers, they should sleep for 12 to 10 hours a day. There are two body systems that regulate your sleep cycle; they include the circadian biological clock and the sleep/wake homeostasis. These two systems help us maintain a balance between the hours we are asleep and awake. It is therefore important to maintain a uniform sleep cycle. 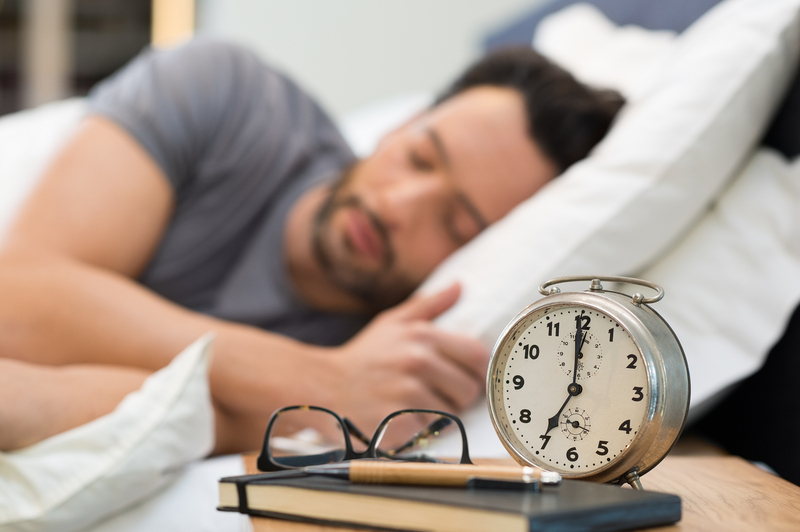 The circadian and biological clocks are closely connected and they play an important role in determining sleep patterns in an individual. According to the National General Medical Sciences (NIH); the biological clock co-ordinates with suprachiasmatic nucleus (a group of nerve cells located in the hypothalamus) to control as well as monitor sleep/wake cycles. Melatonin is the name of the sleep hormone that is released by the brain. The release of melatonin is influenced by the circadian rhythms that regulate the internal clock of an individual. Oversleeping or sleep deprivation has adverse effects on the health of an individual and is a decisive factor in determining the longevity of life. This is because sleep quality determines nervous system performance, memory and overall performance. Insufficient sleep adversely affects the cardiovascular function as it alters the circadian rhythm according to American Heart Association. Additionally, sleep restriction reduces heart rate vagal activity and variability which interferes with normal functioning of the heart. Lack of enough sleep increases the levels of hormone norepinephrine which is a stress hormone. According to a study published by researchers at the University of Chicago, low sleep quality may lead to calcification of the coronary artery. Another study showed that men who went to bed before midnight had healthier arteries as compared to those who slept late. Lack of enough sleep triggers inflammatory process which leads to increased levels of C-reactive protein in the blood. In a study published in the American Journal of Epidemiology, reduced sleep caused the levels of C-reactive proteins and interleuin-6 to double within a period of 5 years. This condition makes the body to become prone to diseases especially cardiovascular ailments and depression. Lack of enough sleep has extremely adverse effects on one’s mental performance. As mentioned earlier, the brain rejuvenates and relaxes during sleep. It follows that lack of enough sleep hampers cognitive functions and leads to impaired memory. Additionally, sleep deprivation causes attention lapses and decreased cognitive performance. Due to sleep deprivation, response to stimuli is delayed and wake-state instability is common. According to various studies, biological clock genes play an important role in sleep cycle monitoring and regulation. It follows that, mutation in biological clock genes can lead to a cascade of disruptive neurobehavioral consequences. Lack of enough sleep is associated with epigenetic changes which includes genes methylation, DNA damage in neural cell. Additionally, epigenetic changes lead to increased likelihood of suffering from cancer and diabetes. According to statistics from the National Sleep Foundation, a disrupted biological clock in night shift workers significantly increased the risk of cancer. Another study was conducted and published in the European Journal of cancer and according to it; women who worked irregular work hours were 30% more likely to get breast cancer. The benefits of proper sleep are vast. You should never compromise on sleep. It is advisable to avoid caffeine and electronic gadgets before going to sleep. If you get enough sleep, have a daily exercise routine, you can be assured that you will lead a healthy lifestyle. In the past few years, there has been intensified research about sleep. The results of this research has seen several studies published emphasizing on the importance of sleep and how sleep deprivation leads to increased risk of poor memory and other long term brain issues. 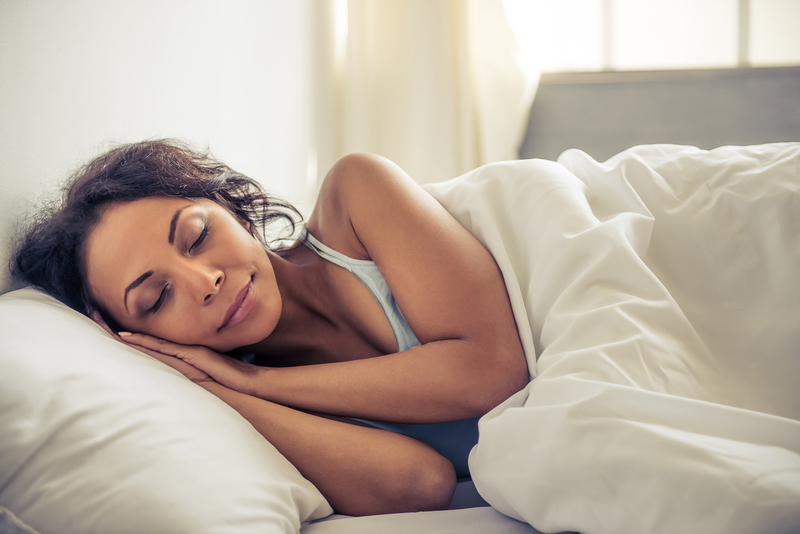 These discoveries sparked a lot of buzz on why getting enough restful sleep on a regular basis is important for your health. As more research continues, the concept of enough sleep is not going under any time soon. At one instance, you might have heard a successful person being interviewed. When asked what is the key to their success, they smile and say you have to work or long hours and sleep for like 2-3 hours, this is a BIG lie. It is a cliché that successful people sleep less; this is a ridiculous claim and another public relations stunt to enhance their public image. Several people struggle to get a full night sleep due to the life stresses and long hours of work. It becomes normal for you to sleep for 4-5 hours each night. Though you might think that 4-5 hours is all you need, you are slowly damaging your sleep cycle and inviting the negative effects that come with sleep deprivation. It is a scientific fact; you need 8-9 hours of sleep if you are aged between 18-64 years, 10-12 hours of sleep for children and teenagers and 7-8 hours for people above the age of 64 years. If you do not get this hours of sleep, your brain and body will not get enough time to rejuvenate and relax. You might seem okay physically, but your body is crying for help. Sleep is a process, and for you to have a good night sleep the process have to be completed. 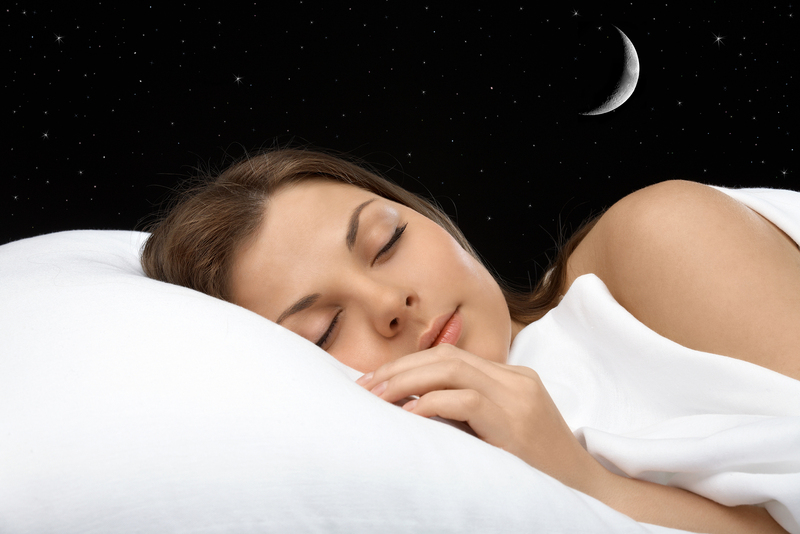 The process of sleep can be categorized into two stages; light sleep and deep sleep. Light sleep, also known as the non-REM (Rapid eye movement) is the first stage during which the body prepares for deep sleep (REM). According to a study published in JAMA Neurology, people who are sleep deprived have higher toxin levels in their brains than those who do. This is because during sleep, the brain cells shrink which allows entry of fluid into the brain to flush toxins which have accumulated when we were awake. This allows the brain cells to relax and rejuvenate which makes a good night sleep crucial. In several cases when most of us are faced with sleep problems, we consult a physician who prescribes anti-anxiety medication. In my opinion, these prescriptions are handed out in a routine manner and hence they do not solve any problems, to make matters worse, they have side effects. For instance, after taking the anti-anxiety medication due to sleep problems, most people wake up the next day feeling drowsy. These sleep medications also carry a risk of dependency and addiction. To make the matters even worse, they might inhibit your body’s natural ability to rejuvenate or resume a natural sleep cycle. · Boost your physical energy, focus and concentration. The above are just some of the few benefits that a good night sleep has to offer. The sleep hormone, popularly known as melatonin, is a powerful antioxidant which helps your body gets rid of free radicals giving your body a chance to rejuvenate while asleep. When we are born, our body produces minimal levels of melatonin and quickly picks to produce high levels in our early childhood. As puberty kicks in, the production of melatonin begins to decline. This process of reduced production of melatonin continues and by age 40, the levels of melatonin can be as half as the ones we produced when we were at our twenties. It follows that in our forties, sleeping is a struggle unlike in our twenties when we seemed to have restful sleep for countless hours. The big question is how does one deal with low levels of melatonin? One might think that the natural solution is to take a melatonin boost to get enough restful sleep. While this is true, several people have tried it with little or no success at all. This is because, once you take a typical melatonin supplement, it peaks within 3-4 hours in your body after which you find yourself wide awake. The end result is that you wake up in the morning having not rested. What is the solution to low levels of melatonin? The answer to this question is simple, take a slow release melatonin supplement. A slow-release melatonin slowly releases the supplemental melatonin to your bloodstream instead of releasing it all at once. The slow release action ensures a steady supply of melatonin in your bloodstream to ensure that you get a peaceful night sleep and get to enjoy the benefits that come with it. If you are having trouble getting a peaceful night sleep, trouble falling asleep or trouble staying asleep, worry no more. It is time you give the slow-release melatonin a try. You can test our Relaxium Sleep® by claiming your free bottle. Relaxium Sleep® is a unique blend of safe, clinically- tested ingredients that help you sleep better naturally without the harmful side-effects of prescription or over-the-counter sleeping pills! Ever wondered how your body always knows to feel tired and drowsy at night and to stay alert during most hours of the day? This phenomenon can be attributed to your body’s inherent body clock called the circadian rhythm. As the name suggests, the circadian rhythm is repetitive on a strictly regular basis. This explains why you will almost always feel sleepy at the same times during the day or night. Your body’s sleep/wake cycle is the timekeeper responsible for reminding you when you need rest. It is housed in a part of your brain that responds to light, explaining why we always tend to be most alert during the morning hours and sleepier during the wee hours of the night. However, the circadian rhythm is not a system that is set in stone. It causes dips and rises in your levels of alertness throughout the day either naturally or based on a number of factors. For instance, some people (those referred to as “morning people”) will find that their alertness or wakefulness levels are highest from around 6 am to 11 am. Others may find that this period of extreme alertness comes later on in the day. Typically, however, a healthy human being is likely to experience the strongest desire to rest around 1 pm to 3 pm and between 2 am and 4 am in the morning. The former period is dubbed “the post-lunch crash” where wakefulness levels dip significantly. Age – Your circadian rhythm adapts to your current energy needs. For instance, teenagers need more sleep than adults. Their circadian rhythms are programmed to take them to bed earlier and to sleep for longer than an adult naturally would. Therefore, the older you grow, the more your rhythm changes to adapt to your body’s needs. Work/Activity – it is obvious that staying awake all night is neither impossible nor as unpleasant as you would expect it to be. Whether it is for work or entertainment, your circadian rhythm may readjust itself if you interrupt the cycle for a long period of time. When this happens, it results in poor sleep quality and daytime drowsiness among other sleep disorders. Circadian rhythm sleep disorders are more common these days on account of the fact that most people work both days and nights. Also, cellphones, TVs, computers, and other notorious emitters of artificial blue light can have a serious impact on our ability to sleep. DSP is a circadian rhythm disorder characterized by the inability to go to sleep earlier than well past midnight. If you’re suffering from this disorder, you find that you cannot sleep any earlier than 1am. In most cases, DSP might leave you feeling like you never have enough sleep at night, leading to day drowsiness and general tiredness. Considered the opposite of DSP, ASP occurs when an individual finds it hard to sleep right until morning. For these kinds of people, waking up at between 2am and 5am is a regular occurrence no matter how early they sleep. ASP also becomes progressively worse with age. Jet lag is another circadian rhythm disorder. Traveling through different time zones (particularly when traveling towards the East) can disorient your sleep cycle, making it very hard for you to sleep and stay awake at the required times. This is a common circadian rhythm disorder in people who work during the night and sleep during the day. Performing the latter task is often harder than it should be on account of the fact that the body is most alert during the day. 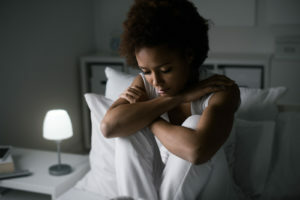 For such people, using sleep props such as blinds to limit the amount of light that comes into the room can help trick their circadian rhythm into thinking that it is time to sleep. People suffering from chronic insomnia sometimes sleep in short bursts that last around two to three hours spread across the whole day. While this is detrimental to the quality of sleep one gets, it is better than having to induce sleep with medication. 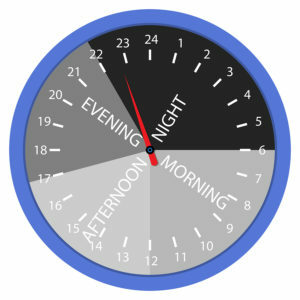 Circadian rhythm disorders range in severity depending on how long the problem has been going on. Poor sleeping habits are the main culprit, although technology in the bedroom has proven to be a big inhibitor to getting the right amount of sleep. Try as much as possible to not only have a regular bed time, but also a consistent waking up time. Consistency is what eventually regulates your circadian rhythm, keeping your mind alert throughout the day and enhancing the quality of your sleep at night. If you’re struggling to wake up in the morning, try taking a walk outside immediately after your alarm goes off. If that proves cumbersome, try opening the shades wide open to let in a lot of natural light. Being exposed to the morning sun is almost enough to fully reset your circadian rhythm. It will also make your mind immediately alert and give you an energy boost to get you through the morning. And not just your phone, this rule applies to every bit of technology that may emit artificial blue light. Put down your phone and switch off the computer and television a few hours before bedtime. Blue light is very distracting and it can keep you awake for longer periods of time even if you’re tired and ready to go to bed. Keep the sleeping area dark and moderately quiet to avoid distractions and to make your transition from wakefulness to sleep smooth and uninterrupted. The circadian rhythm is essential to the functioning of a human being. Other than keeping a regular bedtime, exercising, and limiting the amount of artificial light you’re exposed to before bedtime, melatonin supplements, sleep aids, and light therapy can help put your circadian rhythm back on track. The information contained above is for general consumer understanding and education, and should not be considered or used as a substitute for medical advice, diagnosis or treatment. This product is not an alternative to any prescription drug. If you are currently taking a prescription drug, consult your doctor before making any changes. These statements have not been evaluated by the Food and Drug Administration. This product is not intended to diagnose, treat, cure or prevent any disease. Results may vary.